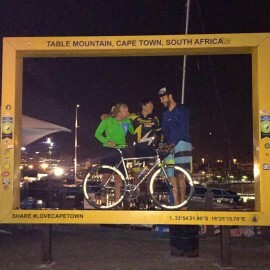 On his 35th race day Michael Strasser arrived in Cape Town (Friday night, 4th March 2016) and smashed the current world record of 38 days for cycling from Cairo to Cape Town. For the continental crossing from Alexandria (Mediterranean Sea) to the Cape of Good Hope (Indian Ocean) in 36 days he also set a new world record mark. Vienna / Lower Austria / Burgenland / Africa. It was Michael Strassers”s biggest target to win this race and bring the record home to Austria. After 35 days his exhausting mental and physical journey came to a happy ending. Compared to the former world record holders, a team of 5 cyclists, he conquered the full distance solo on his bike. Michael Strasser’s time measurement counts 34 days, 11 hours and 10 minutes for a distance of more than 10,665 kilometers, which gives him a 3 days lead. 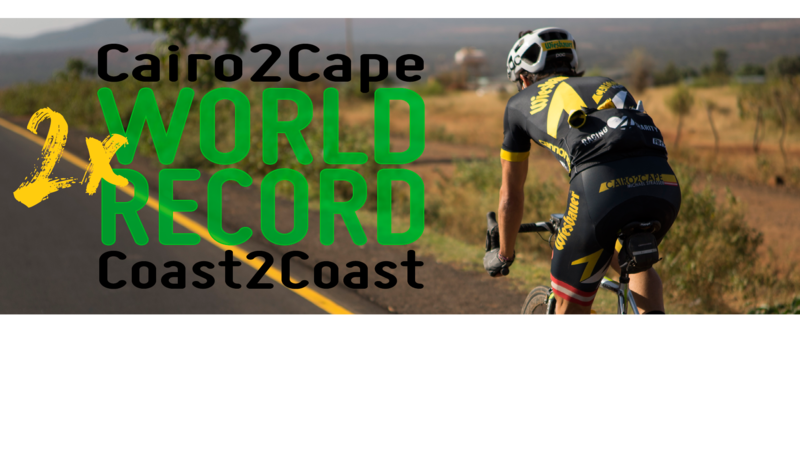 The racing time is not officially confirmed yet, but there is no doubt that the “Cairo2Cape” project was a tremendous success and Michael Strasser is a rock star on his bike. 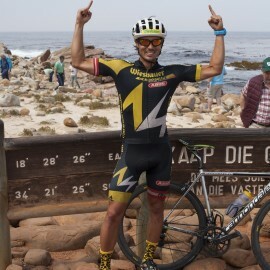 Besides racing “Cairo2Cape” Michael Strasser also took on the challenge to cross the entire African continent. 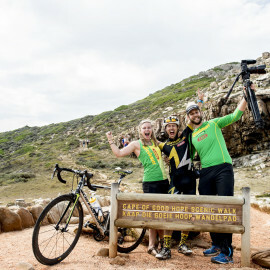 Starting his project at the Mediterranean city Alexandria and finishing the race at the Cape of Good Hope at the Indian Ocean was the target. 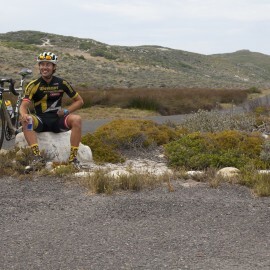 On Saturday, 5th March 2016, he arrived at the southern most point of Africa after 36 days and proudly explained, “None of the prior cyclists has tried the continental crossing before. I am really happy I was able to finish this distance pretty fast.” It took him 10,940 kilometers to complete the Coast2Coast distance. Michael Strasser”s dream came true by crushing the world record. “I always believed in this project and the chance to beat the world record during the one-year planning phase, but it was also kind of abstract. Only when we started the race in Egypt, I realized how difficult it would be to conquer this distance solo. On almost every single day I wanted to quit at least once.” Michael Strasser confesses. Being 36 days on the bike Michael Strasser knows a lot of stories to tell about conquering 66,000 meters in altitude and more than 12 mountains. “Africa’s landscape is beautiful, but we also witnessed a lot of poverty. Quite often locals confused us with an aid organization and thought we would provide them with food and money.”, the sportsman explains. Apart form that, Michael Strasser and his two-team members Ingrid Kiselka and Christoph Wisser were fascinated by the wild animals living next to the road in conservation areas. The counting of 35 elephants per day was undoubtedly the highlight of their safari. Besides the sports challenge, Michael Strasser’s organization “Racing4Charity” was also an important part of this project. More than 6,000 Euros were donated during his farewell party and the sale of track sections. “A big thank you to all my fans, who supported and sent me numerous messages to accompany me through Africa. Last but not least I would like to thank my sponsors and my crew at home!”, the two-time world record holder states. Michael Strasser will be back home in Austria in two weeks. Get in touch with him to talk about his great achievements. Additional information will be provided within the next few days.